My father passed away on December 10. Although he had been in declining health for many years, it still came as a surprise to us when it really happened and it still surprises me every morning, when I wake up and realize he's still gone. Due to his long standing health issues, we have all had a long time to reflect on him and his gifts to us. I know each of us has our own special list of what we would like to thank him for thoughout the years. As I mulled this over and over, one thing keeps rising to the top as his greatest gift. I found this quote many years ago and tore it out of the magazine to save it. I've kept it in a little book all these years. I'm not really sure why, but I knew I would need it one day. As we were growing up, there was one thing of which we were all certain. 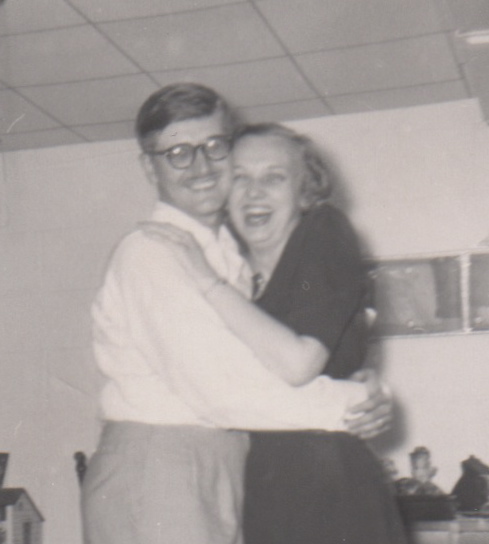 Dad loved Mom. 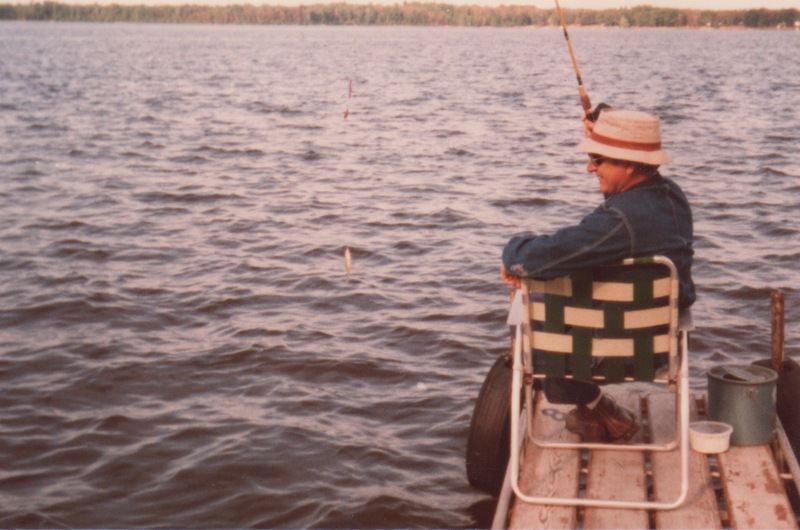 He was not a talkative or outgoing man, Many of his favorite activities were solo activities. But when it came to my mother, his feelings were very clear and all four of us knew this and felt this everyday of our lives. So dad, thank you for everything and mostly, thank you for loving mom...deeply, truly, completely. Without even knowing it, you gave us all the strongest core for a good and happy life. Oh Linda, I'm so very sorry to hear this. The loss of our parents is a unique experience that I don't think people understand until they've been through it. Hoping that the wonderful memories you built over a lifetime bring you some comfort, especially at the holidays when that loss is profound. What a beautiful tribute you've given him. Hugs. I am so sorry to read about your loss. This is a loving tribute to your dad. So sorry to hear about your loss! He is close in age to my dad! I don't think you could ever get used to the idea of him being gone. Best wishes and hugs! Hugs, Linda. I truly hope you have plenty of good memories of your Dad. Such sweet photos as well. What a loving tribute to your dad. 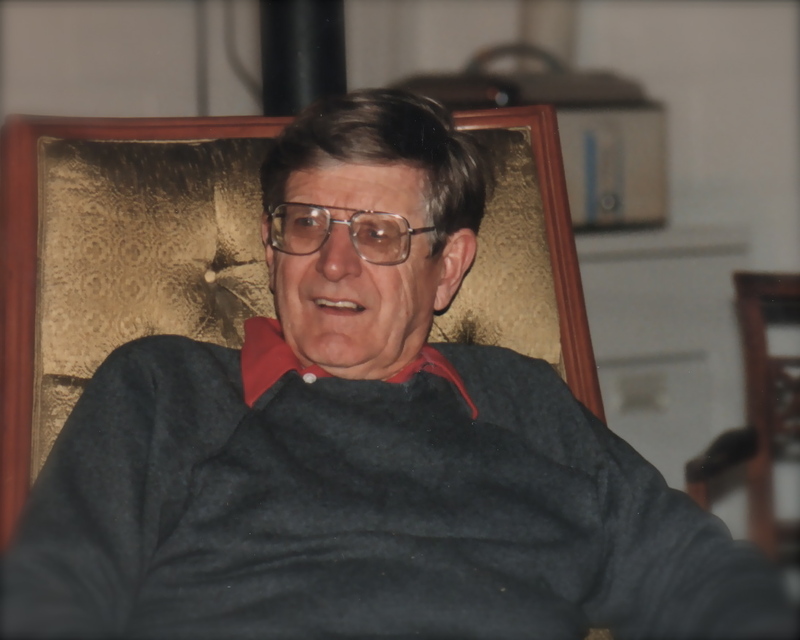 It's such a profound experience to lose a dad - I know. I've never heard or seen that quote but it's so precious. oh, I'm so sorry to hear about your loss. I think the quote is right on. Your dad looks like he had much love for your mom. Look how happy she is in that photo. Beautiful my dear cousin. I love that pic of them. Can't wait to see you this weekend. but live in thankfulness that he was. I thought this quote matched what you said and felt about your father, for he has left you with wonderful memories and one that is very important.. He knew how to love,respect, appreciate,and care for his wife and family...Something that is becoming a rare thing these days! My God give you and family grace and comfort as you cherish those wonderful memories during this time. I'm so sorry to hear of your loss. When my dad died, it sort of felt like a pillar had been knocked out and it took me a while to get my bearings. What a great tribute to him. Linda, with a heavy heart I send my deepest sympathies for the loss of your dad! You wrote a lovely tribute to him & I'm sure he's smiling down on you!! 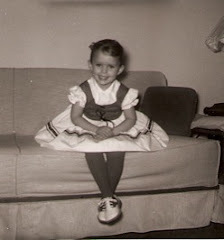 Dear Lindalou, here it is December 31 and I'm just now reading of your father's death. It made my heart hurt to hear this news. I know how much you loved him and he certainly was a good man. Didn't you do a post a long time ago about some wooden ornaments or planters that he made for you? My deepest sympathy to you and a wish that the sweet memories of your dad will make you smile. I've been so involved in my own father's health issues that I haven't been a very good blogger friend. My dad is living in a nursing home and was doing quite well until December 23, when he had a TIA. He's bounced back quite a bit and we're thankfulf for that. Big, warm, loving hugs to you. Thank you for posting this Linda. 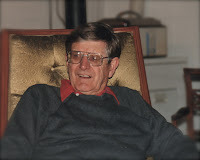 I will always remember my Uncle Bob for "his chair". My heart goes out to you and your family. Much love to you. I am so sorry your dad has passed on. This is an amazing tribute to him. What a wonderful example he was to you and a reminder of how we all should be in our lives. What a blessing to have a loving family. And what a beautiful picture of the two of them. I keep glancing at it and it makes me smile as I write! I am glad you got the cook book. You definitely need some scones! May 2011 be full of peace and love for you and your family.